Want the warmth, comfort and beauty of a fireplace without the hassles of prep and cleanup? Then a propane gas log set may be right for you. Cherry Energy offers vented and vent-free gas log sets for your home or outdoor hearth, with selections from trusted brands like Majestic, RH Peterson and Empire. Convenience – No more set-up time or ash cleanup – just open a valve (or better yet, use a remote!) to fire up the propane gas logs from the comfort of your sofa. Cost savings – On average, a gas-burning fireplace will cost about 30-40 percent less for every hour your fireplace operates – and that doesn’t take into account the higher maintenance costs associated with a wood-burning fireplace. Eco-friendliness – Gas burns clean and emits no harmful particulates. Carbon emissions are 35-40 percent lower from gas-fueled fireplaces than from traditional wood-burners. A roaring fire could be a click away! 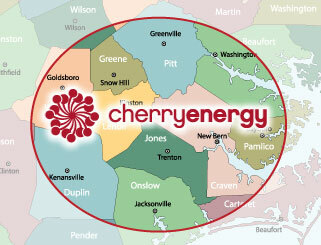 Contact Cherry Energy today to discuss propane gas log and other hearth options for your indoor or outdoor space.